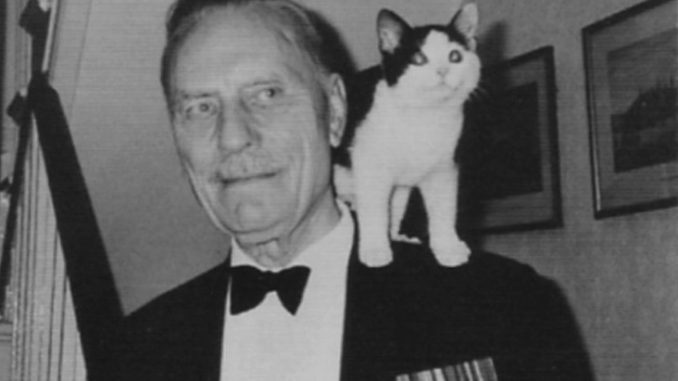 Who’s afraid of Enoch Powell? The BBC is broadcasting Powell’s ‘Rivers of Blood’ speech performed by the actor Ian McDiarmid. The speech is not going to be delivered whole, but interspersed by ‘’contemporary commentary’’ — a kind of politically approved intermission to prevent viewers from digesting too much undiluted hate speech. But even this edited version has provoked the authoritarian sensibilities of the multiculturalist left. If Enoch Powell’s speech is delivered it will ‘inflame hatred’, ‘normalise’ and ‘legitimise’ racism, and presumably trigger a Srebrenica on the Thames. This broadcast must be stopped, claim ‘infuriated’ politicians and commentators. But why this outrage? Why does a speech written by a man now dead, delivered by a left-leaning actor, cause a borderline pathological response from our political commentariat? Why does the spectral figure of Enoch Powell — even after all these decades — still haunt the liberal mind? Enoch Powell’s very name causes a ripple of anxiety through the consciences of the chattering classes. Surely not only Enoch Powell, but the beliefs he embodied, are now dead, discarded in the dustbin of history as our new multicultural Britain triumphantly marches on to ever greater levels of tolerance. If multiculturalism really has worked — and that is the main liberal critique of Powell — why can’t we look at Powell from a dispassionate position of historical curiosity? Of course the real reason why the left doesn’t want us to listen to Powell is because they know deep down that in many respects he was right. Britain hasn’t emerged as some infinitely hybridised cosmopolitan utopia. Even if some of Powell’s predictions have not been entirely fulfilled, many have turned out to be correct. The mainstream liberal narrative, that Britain simply had a wave of immigration, some people were nasty racists, and then we all adjusted and settled down into a cohesive society, is of course nonsense. Immigration since the 1948 Nationality Act has been a continual process of demographic change, with no historical precedent in our nation’s past. Immigration didn’t just ‘happen’; it still is happening and has been continuing, with some intermissions like the 1980s, with no perceivable end in sight. British society in the 1960s and 70s wasn’t really ‘multicultural’ beyond significant immigrant concentrations in a few inner city areas. We now really are changing, with white British people a minority in Birmingham, London, Slough and Luton. Eventually most major UK cities, and many provincial towns, will become ‘majority-minority’, and it’s unclear as of yet whether this is a process that will continue throughout the nation as a whole (although some such as the demographer David Coleman have predicted that the white British will constitute an ethnic minority at some point probably in 2060s). And we are not coping with these sudden changes to our society. Beyond the relentless narrative construction by the liberal media, there is a real England out there, which is quietly but profoundly uncomfortable with the abrupt alteration of our national existence. We have witnessed increased racial residential segregation in most parts of the country, with white Britons gradually exiting many major urban centres. Reports both in 2001 (after race riots in Bradford and Oldham) and in 2016 authored by Professor Ted Cantle showed that in many areas of the country there had been a significant retrenchment of the majority population, with white populations nearly halving in some areas such as Newham and Blackburn. We are increasingly left asking the question ‘what will this country look like in 20, 30 or 50 years’ time?’ and of course no-one in the establishment can give us a reliable answer, because they don’t know themselves. Our government has engaged in a social experiment which has no theoretical end-point. We are told constantly that we are simply ‘becoming more diverse’, but we are never told how diverse. As diverse as Tower Hamlets? Tottenham? Or perhaps Newham? Multiculturalism since the 1960s has meant in practice that we have to surrender any long term concern for the future of this country. We can no longer reliably say that there will be some sense of historical continuity, that our grandchildren will live in a society which at least in its outward forms resembles our own. 49 Comments on Who’s afraid of Enoch Powell? The word in capitals is my suggested amendment. Yes, it’s bad. What to do? To those who have solutions, other than direct action which will cause losses of various kinds, we await your ideas with great anxiety. Mark Steyn likened the situation to the British PTB having, in 1950, a gallon of vanilla ice cream, to which they have deliberately added a quart of dog poop. Two observations may be made; first, the ice cream is not recoverable, and second, the mixture will only become more putrid with time. Over the period the average IQ of the English population has dropped by at least one standard deviation. Now England is the most densely populated country in Europe, without food security (since BREXIT), a hollowed out economy with the productive sectors dominated by foreign entities, huge debt, an overvalued currency and a political system that is nothing more than a pantomime. The good news is that the City of London will continue to be the World center of shady financial practices and as such hugely profitable for a minuscule few. There are no solutions, there is only ruin. Possibly rif. But how about counter-actions that would cost human losses in the millions -all for the greater good, longer-term? Harry; if you mean action of the sort that says; deport them by the airport, deport them by the seaport, and if that is not possible then deport them via the crematorium chimney. That will never happen, such actions are completely antithetical to the English character. Even those such as me, profoundly angry at the betrayal, would never accept such actions, we will leave the monopoly of such to the Germans. But we, English working class men such as myself are fully aware of how the upper class views us: We are fit only to be cannon fodder or domestic servants, we can hew wood and draw water but had better keep our charges down, otherwise the elite will (and have) import millions of others to batter us into submission. If you wish to understand England you need to look beyond the claptrap peddled by Brit-Box, the BBC, NPR if you are in the US, and other purveyors of the “stiff upper lip” nonsense. Working class men in England, who would have to do the revolutionary spade work, are acutely aware of how they are regarded, which is why English culture is largely to do with quickly consuming vast amounts of beer, and the Premier League. The English working class attitude can be summed up as a resentful, lazy, apathetic, hostile nihilism, an entirely predictable situation given the English class system. I recommend a wonderful book; “Among the Thugs” by Bill Buford, for a primer of what England is really like. Mr. Buford was a sociology professor at Berkeley, who went to Cambridge as a visiting scholar and decided to research the football hooligan phenomenon. One of the things that was hugely amusing in this work was his description how he went from distastefully observing them, to befriending them and finally joining them. Harry, it’s all over, England is done, stick a fork in it. An excellent description of the US today, except for food security, by 2050 if you invite an American to your house you will be surprised if they are not Latino faces that you see at the door. Donald Duck is still struggling to build his wall, but it won’t stop them. You know nothing about the United States. Thi is the world Roger in Florida comes from compared with Britain. ‘US police killed 1,129 people in 2017, British Police 4 (If UK had the same population as the US, our police would have killed 20.’ We have yet to hear an answer from him on this. If I recall he agrees with Donald Duck’s idea that in the US schoolteachers should carry weapons in class. One British teacher, in between holding his sides as the rest of Britain did when they heard the Duck suggest it, wondered if and when the next shootout in a classroom occurs the Duck will suggest the children should carry them too. It would put a different complexion on the way teachers marked homework. Please stop Mr. Harris, you are making yourself completely ridiculous. I am still waiting for a reply to my question about the US versus the UK police. Trying to wriggle out of it is not an answer..
Editor Harris, are you open to the possibility that Trump might be a useful force in US and world affairs? You might be aware of a recent article by Victor Davis Hanson which puts the Trump figure in the tradition of the rough, crude outsider whom the villagers get in to save ’em from rapacious marauders. The villagers hold the fellow/s in contempt of course -too coarse for their civilised tastes. So after he saves them, he strolls off into the sunset, alone and unloved. Seven Samurai of course, and a figure well-explored in old Westerns. Pretty sure characters pop up in the Old Testament accounts and and in the Old Greeks and in Lits further east. Well, it’s all over isn’t it? The multi-cultural state is in being and we just have to live with it. The only hope is secularisation of the State. Once religion is kept in the home and the places of worship, and excluded from government, schools, and overt wearing of religious dress and advertising in foreign languages on shop fronts the population may just decide it is time to be one nation. Blackburn is a suburb of Karachi now. Some African (?) woman has successfully sued the NHS because she was unable to understand how to feed her sick child, and Social Services could not translate the instructions. You come here – you learn our language. Should it not be “Who’s afraid of Enoch Powell”? The English language seems to be going the way of everything else, all down the drain together. Maybe trivial, maybe not. Thanks for correcting the heading from “whose” to “who’s”. I can understand it now! To put it in a nutshell, England, and for all that, many of the countries of Europe, the remnant of Christendom, are no longer sovereign, or at least do not effectively exercise their sovereignty. The notion of a no-go zone is an abomination. They thereby betray their citizens. In effect, they are managed by traitors, but it is the body politic that is being hung, drawn, and quartered. But the whole modern project is a concerted non serviam, so why shoud we be surprised. The medieval paintings of the day of the Man of Sin show a vacant staring figure being whispered to by the Enemy, amidst a completely blasted land- and city- scape. Everyone if they ask knows where the remedy lies. “The notion of a no-go zone is an abomination”. If the perfect polity that the messianic spirit sees was what the messianic spirit delivers, we’d have swum out of the sea of politics long long ago. ‘Stick a fork in it’ is not a political program. Things are never perfect at any time, and things may be bad now, but they can always get worse, where ‘getting worse’ means intensifying misery, and against that getting worse you need a plan. Nostalgia is not a plan. Anger is not a plan. Resignation is not a plan. Things are going to get worse alright, and that is a consequence of the plan. There is no Bismarck in Britain’s past, or future. It may be that Britain’s problems are simply not solvable, regardless of that, even if they were, there isn’t the intellectual capacity in the British elite to meet the challenge. It’s a mistake to see this as a consistent vector of cultural replacement. In the event, it will not be this predictable and melancholic, and the outcome is not fixed. New motivation, new friends, new leaders will turn up. The English are a deeply anchored people (so I believe), those anchors have not rotted (as you believe), and so it will not be an easy matter to tear them out. “Not an easy matter to tear them out”. See William Hosking’s comment above; “Blackburn is a suburb of Karachi now”. “Near where I was born and grew up, there was an open green space called Horsenden Hill. There are archaeological records of Stone Age human habitation of the area. If, in 1960, it had been possible to match DNA records of the dwellers of 8,000 years ago to the modern population you would have found direct family links across that period. Horsenden Hill is still there, but the surrounding locales; Greenford, Southall, Ealing, Wembley, Harrow and Sudbury are all a majority of mixed Indian, Pakistani, Sikh, or West Indian negroes. The original population who continuously inhabited the area for thousands of years have been replaced in just half a century. Why? And by whose decision? So, interesting as the article is, what is the point? In another half century the “English” will be a tiny minority in their own country. It is true that we were a deeply anchored people, but if you visit any of the major English cities today you will notice that the native English are already a minority, and a rapidly ageing minority at that. The English roots are already torn out, it is quite likely that within a decade Sadiq Khan (as British as fish and chips!) Will be PM. in the eighties, I was puzzled at that time to understand the logic of immigration in Britain. Third-world countries can send millions of people as migrants with little impact besides the negative consequence of losing among the migrants, some of the few most educated citizens. For the receiving countries, a few million people, specially from very different cultural and religious background, will have a huge impact in a few decades. Historically, migration on a small scale always existed. But when large migrations took place, centuries of instability and conflict followed and nations changed irrevocably. The real effective help that rich countries can give for a permanent solution of any humanitarian crisis, is to help nations through economic, political and mainly educational collaboration programs, and not individuals through immigration. Leon: You raise an excellent point; immigration policies can be used by receiving countries to “asset strip” target countries by recruiting the educated class of potential leaders, thereby further impoverishing the poorer country. This can save the recruiting country huge amounts in education costs. Britain is a prime example: I have been assured by a Romanian acquaintance that entire classes of graduating medical doctors in Romania are recruited by Britain’s NHS. Your point about 1st world nations helping 3rd world nations is well taken, however sometimes the only effective way to help is not deemed acceptable. I have long thought the best way for the US to help Mexico (a country I am quite familiar with) is to invade the place and sort it out; Mexico is a dump in so many ways it boggles the mind. It is no wonder that 40% of Mexicans live in the US. If your argument is wholly racial, then I admit, you have lost. But cheer up guy! In some generations more than in others, but there is always flux in life. Your 8,000 year old line, it gave up its language (to indogermanic tongues), it gave up its religion (to the hebrews), it gave up its laws and its organization, there were several colonizations (though long ago now), and so on. Every giving up of this kind was transformational. Consider Hellas – the people that live there now are not Hellenes, but Slavs. Don’t tell that to them though, they’re proud of the Hellenic heritage, almost as if it were their own. There is always more life to live, and therefore always justice to pursue or maintain. Whatever the truth of your fatalism, its relevance is doubtful, as the criterion in this domain is what conduces to peace and flourishing. I maintain that the English culture is compelling, will find its champions & a way through, and will hold. I submit that race is a quite appropriate base for culture, but if pressed culture may be sustained without it. My 8,000 year line evolved into the most advanced civilization that ever existed, which is why it has been invaded by the 3rd world. The newcomers seek what they could never create on their own and which they will not be able to maintain. We see the results of this invasion every day in the ruin of our society, and there is plenty of ruin still to come. Europe as a whole is going to descend into a pit of dystopia as the ethnic base for European culture is overwhelmed and destroyed. When I read the classics, I get the sense that the basic elements for advanced-civilization-formation are: mind & interiority, love of peace, the virtues clustered around wisdom, truthfulness & diligence, and so on. I have some trouble understanding this as the property of a certain line only. Perhaps you can shed some light here guy. An invasion is an extra-legal event. Immigration is not invasion. I don’t disagree with Enoch Powell, or with you for that matter guy, in finding immigration (at a material scale) destabilizing and undesirable. But turning your knives against people you’ve allowed in is a nasty sort of business. It will put you on the side of the villains, invalidate a good part of your basic idealism, and lock you in to (rather than free you up from) your demise. Much truth and generosity here. The point about migration, surely, is the rate: how quickly it takes place. A modest, manageable flow of people with skills is one thing; a sudden, disorientating wave of persons with needs (or demands) is another. The second point concerns diversity – oddly enough. Were the flow of migration into the west a genuinely diverse affair, then some of the problems of today would not have arisen; but because of the disproportionately Islamic element in the mix, there is now a genuine danger of “ghettoization”. Finally, I suggest a distinction between “races” and “peoples”. The first is a purely material consideration; the second is cultural. A “people” might well be composed of many “races” – perhaps they always are! But it is then given a period of time in which to build the internal links which give it integrity. Again, a “people” can reach out and co-opt new members all the time, but it does so most fruitfully in conditions of self-confidence and – to repeat myself – at a modest, conservative pace. It wonderful that we can welcome such a diversity of races to further our equalities. Britain leads the way in what is a world wide movement of oppressed races and ethnicities coming to take back their heritages. So you condone mass race replacement by justification of an imaginary outstanding debt? Whatever angle you choose to view that statement isn’t healthy. In general Powell’s speech was countered by abuse, not argument. He was scoffed at about his predictions of demographic change, but he was absolutely correct. When he suggested the Home Office was deliberately falsifying statistics, even some of his supporters thought he had gone mad (people actually trusted the Government then – can you imagine?) but he has since been proved right. Powell has been proved right in every respect. Only a well-orchestrated campaign of obfuscation has prevented this from becoming plainly evident. What is wrong with demographic change ? What sort of place would America be today if It were not for migration ? Are you suggesting that a brown skin makes you less intelligent than a white one. Do you think Russian peasants or Irish peasants fresh from their sod cabins were cultivated literate people when they arrived in America ? The religion, culture and outlook of Russian and Irish peasants were not inimical towards the established American people they settled among. I live in a province of Canada settled largely by Ukrainian peasants. Our basis of civic peace is not non-inimical natures. (I am willing to wager that you embrace Russian peasantry as like-natured as a point of theory rather than as a matter of fact.) It is (a) the establishment of English constitution & law, and (b) the absence of active enmity. It is active enmity rather than inimical nature that destroys the peace. If you root around for inimical nature you will always turn up something. Recall that Catholics were held to have inimical natures for two centuries and more. No – the Roman Catholic Church cannot ever have been inimical to the English and their laws because – notwithstanding an expedient (and temporary) Protestant overlay – the entire political and cultural consciousness of the English grew out of the Church’s teachings. Within the context of Britain and Europe today the one group that stands out as a major problem is islamists, muslims, with their death cult religion of hatred, slavery and criminality. However even that problem will pale in comparison to the likely population movement of perhaps one billion Sub-Saharan Africans into Europe, probably by 2100. As that happens you will become aware of very substantial genetic differences between racial groups! The history of North American development over the last 500 years is very instructive: Introduced were the concepts of law, human rights, property rights, education, representative government etc. Cast aside were tribalism, “might is right” economics, ignorance, superstition, etc. Exactly the reverse is happening in Britain and Europe but over a much shorter time frame. Do any of you think that Europe in 2100 will be a better place then it is today? You could easily invert the question and ask ‘what’s wrong with relative homogeneity?’.Really the onus is on you to justify an active process of population augmentation, which 1) is historically unprecedented (if you leave out examples of countries which have been subjected to intensive colonization)and 2)is entirely avoidable and unnecessary, and is a financial and logistical burden on the host society. Why should we subject our nation to this demographic change? On what grounds should we alter the traditional forms of English identity, when people of your ideological disposition are incapable of offering us any realistic idea of what this country will look like in 100 years time? We are certainly under no moral obligation to allow continued immigration, unless you subscribe to a universalist utilitarianism, while we are in many respects under every moral obligation and certainly under every obligation of statehood to limit the further spread of multiculturalism. Already in this nation we have witnessed the most grotesque crimes, on a scale which would have been unthinkable only a few decades ago. The multiculturalists of the 1960s are ultimately responsible for the grooming which occurred in the 1990s and 2000s and which still to this day plagues many of our towns and cities, while people like you will be responsible for the as of yet unknowable, but perceivable consequences of further demographic change. Roger in Florida should look a liitte closer to home ? William: Unfortunately your understanding of what the USA is seems to be a bit limited, much like Mr. Harris. The USA, and for that matter Canada, Mexico and just about every other State in the Americas, is not an ethnic state. The US has been called a “proposition nation”, and it is. That view has to tempered however by acknowledgement of the fact that the “proposition” is uniquely the product of a particular ethnic group, that group being the British colonialists who settled there, and who fought for and established the USA. There is very little antipathy to Hispanics in the US. As Mr. Navarrette points out, there have been Mexicans and other hispanics in the US for hundreds of years, they are well established here and generally welcomed. What the native population does not appreciate is the idea that any person living in Mexico or any other Central/South American country can just decide to enter the US with no restriction whatsoever. A large number of the Mexicans who live here are European anyway, they are mostly ethnically Spanish. And they wholeheartedly accept the “proposition”, therefore, no problem. Contrast that situation with the one in Europe where all States are ethnic, but coming into those states are people of a vastly different ethnicity with vastly different ideas and attitudes. Large areas of England are now under virtual sharia law, people are being admitted to Britain who freely admit that they are islamic terrorists. Radical fundamentalist immans are let in who openly preach hatred and violence toward the native British population and who preach that every week without hindrance from the supposed “authorities”. The African invasion will be a totally different problem. Europe will be admitting people, by the millions, who are as dumb as bricks with no cultural similarity whatsoever; what could possibly go wrong? ‘Donald Trump last night harked back to controversial comments about “Mexican rapists” that he first made at the outset of his presidential campaign. The president suggested that women were being raped in a high profile “caravan” of more than 1,000 migrants that has been making its way through Mexico to the US border in recent days. When he launched his campaign in June 2015 Mr Trump made an opening speech arguing that Mexico was “sending rapists”. It was not immediately clear what the basis for the comments was. The president also repeated a previous controversial claim that millions of people voted illegally in the 2016 election, costing him the popular vote. Oh dear, Mr. Harris is getting himself into a bit of a tizzy! Along with his ignorance of the US, it seems that Mr. Harris is also ignorant about Mexico, I will attempt to educate him. Mexico is a politically corrupt country, plagued by nepotism, cronyism and corruption, it is dysfunctional with the added difficulty that it is a narco-state, plagued by incredible violence. This despite the fact that Mexico is very rich in natural resources and has a low population density. The elite of Mexico know they have a problem and that their position may well be under threat of violent revolution (it has happened before). They therefore use the US as a safety valve for their profound social problems, as I said above, about 40% of Mexicans live in the US, approximately 30 million of them illegally. The people of the US are not happy about this situation, including many of the Mexicans who are legal US residents. As I stated above; the US is not an ethnic state, it is multi-ethnic and always has been. A consequence of being a “proposition” state is that the USA can never be a “multicultural” state. It could however become a failed state like many in Central and South America, it is that very real possibility that drives a lot of the support for President Trump. One of Hilary Clinton’s election platforms was to enact a completely open, no borders society, from Tierra Del Fuego to the Arctic Circle, not a great vote getter! But had she been able to implement such a policy it would have ensured Democratic Party rule in perpetuity. As regards vote fraud in US elections, I suggest you look up “True the Vote”. It is clear from their research that vote fraud is widespread in the US and is actually a deliberate policy of the Democratic Party. It is not possible to tell if vote fraud cost President Trump victory in the popular vote, but it is certainly true that vote fraud inflated Clinton’s vote totals. I agree with some of the previous comments in the sense that I think it’s true that many of the problems we have in the UK stem from the lack of solidarity between the classes, or to put it another way the contempt in which upper, middle and working-class British people often hold each other, and/or people from different regions, or who speak with different accents to us, etc. In most other European countries, although there are obviously very stark class divisions, ultimately people stick together with their fellow countrymen and women when crunch comes to crunch. In this country the contempt that say upper-class people have for the lower middle-classes, or the disdain with which the urban working-classes view the suburban middle-middle classes, is so great that we actually prefer to make life more difficult for them even if it might make our own lives slightly worse in the process. For example the sort of mass immigration that has taken place over the last 20 years in the UK could be viewed as the liberal elite taking revenge on the provincial lower-middle and working classes because they know they wouldn’t have supported it, and they’ve allowed it to happen even if it might result in a slight decline in the quality of life for themselves in terms of population density in cities, etc. I think that we, the British, are unusually Machiavellian as a people in that respect, whereas in another European country like France for example, although the classes in France despise each other they wouldn’t actually go so far as to mess things up for their fellow countrymen just to “make a point”. They come together as a people when things are getting serious. We, in the UK, don’t. We are for instance prepared to use people from other countries as pawns in our obsessive trench warfare against our own people who happen to be from other classes, backgrounds and regions we don’t like. One manifestation of this is what happens when people on holiday accidentally cross paths with people from their country that they don’t know. With most nationalities, people are happy to meet their fellow nationals. With people from the UK the response is often something like: “oh my god, we’d better avoid those people” unless we already know them. We generally go on holiday to get away from our fellow Brits, and it’s always a surprise to see how happy, say, Americans or Australians are to bump into other Americans or Australians. They don’t despise each other in the way we do. Published in The Salisbury Review? Many insightful observations above, from a cerain civilised viewpoint. We might take lessons though, from how we managed, with Allies, to win the C20 Big Wars. Was not by methods that can be described as “civilised”. “Civilized men can live as civilised men because ruthless men, capable of great brutality, protect them and save them from enemies”. Oblivion or defence by ruthless brutality? Doesn’t matter, I suppose, if it’s oblivion.